Daphne St Childcare has a specialist program for children with autism. 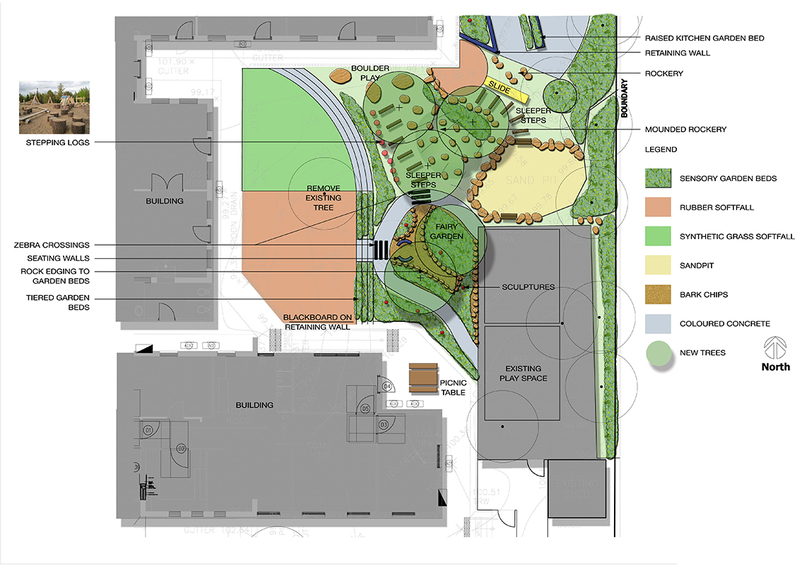 designwell were engaged to design the autism-specific courtyard and redevelop the main outdoor play area. It was imperative to research and work with the clients to design an appropriate play area for children with autism. The outdoor play area compliments the childcare’s values promoting risk-taking, imagination and curiosity. The play area focuses on creating different experiences and challenges for the children. There are various activities, materials and textures that stimulate all senses.